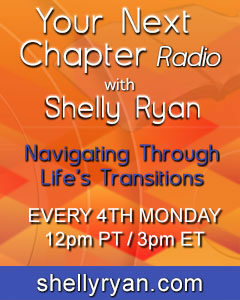 WHY HIRE A COACH TO HELP YOU THROUGH LIFE TRANSITIONS? We all deal with many transitions throughout our lives. Some we choose, and some are forced upon us. When facing a significant change, you tend to have a lot of back and forth internal dialogue as you try to decide what to do next. You are also often provided with input from friends and family who want to help--sometimes solicited and sometimes not! It can all get a little overwhelming and you end up rushing into a decision without really thinking through what would be the very best way to proceed. Imagine if you had a life coach on your team. Someone who had taken the time to really understand what’s most important to you and who can help you stay on track as you move through your transition. 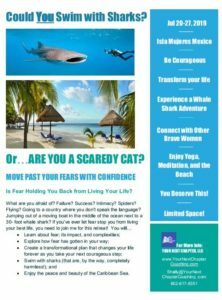 As your professional life transition coach, I am trained to create a completely confidential space and help you sort through all of your internal dialogue. I work with you to create a vision and supporting plan for a successful transition that will leave you content, fulfilled, and happy. As your coach, my role is not to judge you, but to ask powerful questions and listen attentively and thoughtfully, so that you can really understand what makes you happy and then support you as we work together on realizing your vision. You will be amazed at what you can achieve with support and encouragement from your life transition coach. As your coach, I will support you as you move forward with the actions you commit to taking at the end of each session. At the beginning of each coaching session, we’ll check in to see how things are going and what important things have occurred since we last met. Sometimes it’s hard to find time to move things forward. Just knowing that you have an upcoming meeting with your coach can provide the momentum you need to move forward, especially if you tend to be a bit of a procrastinator. As your coach, I’ll help you get clear on your values, the things that really matter to you. Once you have this understanding, you’ll find that it will make so many of your future life decisions much easier, including how best to proceed with your next transition. Living true to your personal values allows you to feel a sense of confidence and satisfaction that impacts all aspects of your life. Your friends and family will notice that you have more energy and sense of purpose and you’ll be excited to get up every morning and get on with your day. When you exude this kind of energy, things start to open up for you and you really can begin to live a life you love. I have an international coaching practice and most of my clients work with me over the phone. They find it convenient since there is no travel time involved and they discover that coaching can be just as effective and sometimes even more effective over the phone than in person. I also have found that it’s easier for clients to be more open over the phone than in a face to face session, leading to deeper insights and more powerful coaching sessions. Some of my Phoenix based clients and those who may be visiting the Valley will meet me in person at a Starbucks or another convenient location. When you make the commitment to pursue coaching and take action on what you learn, I am confident you will see great results. With that said, I want you to make it as easy as possible for you to say “yes” to this investment in you. I am offering you a satisfaction guarantee. Within 45 days of beginning coaching, if you’re not thrilled with your results, I will fully refund your money.